A timeless design from the 19th century sets the Gold Medal Classic Directors Chair apart from the rest. The Gold Medal Classic Dining Height Chair is The Original Directors Chair?, and winner of the 1892 World's Fair Columbus Exposition Medal for Excellence in Casual Furniture Design. The Classic Series Directors Chairs feature contoured legs and comfort shaped arm pads. 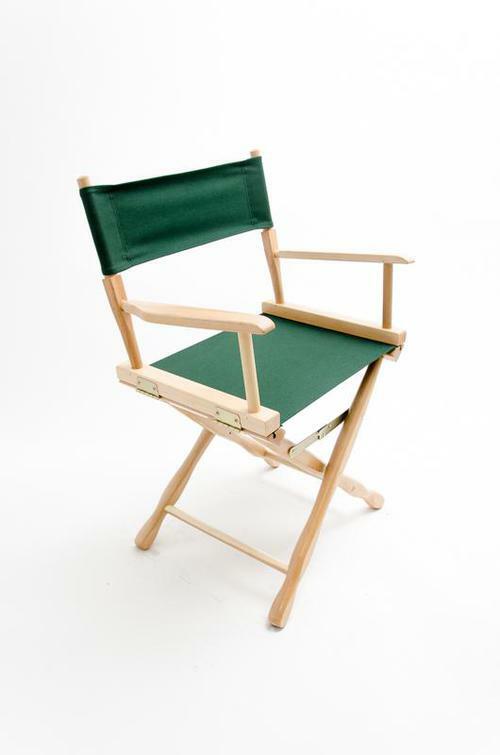 The 30" Classic Directors Chair features a foot pad for comfort while seated. Wood joints are hand fitted, glued, and secured with steel pins for lasting strength. The Classic Series Directors Chair is a brilliant example of classic American furniture design, proudly made in the USA for over 115 years.